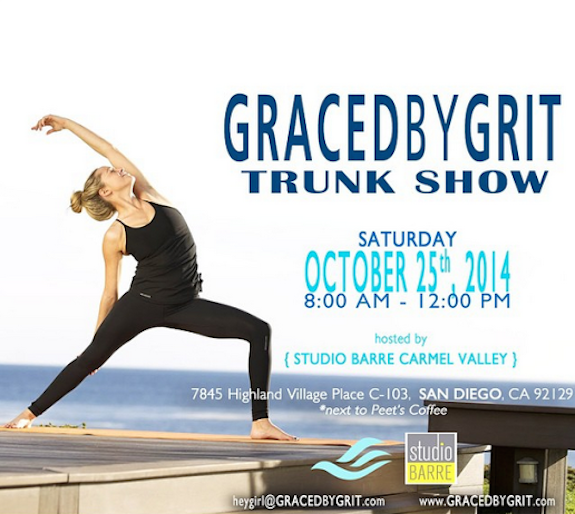 GRACEDbyGRIT is hosting a trunk show at Studio Barre in Carmel Valley and San Diego Style Bloggers are invited! A women’s fitness apparel brand located in San Diego, GRACEDbyGRIT is the women's fitness apparel that you’ve been missing. Designed with the perfect combination of form, function, and fashion, GRACEDbyGRIT is the only multi-functional gear that can take you out to the trail for a run, then a dip in the pool right after!